Perfectly flat spaceborne creatures from a two-dimensional spatial continuum. Ensnared the U.S.S. 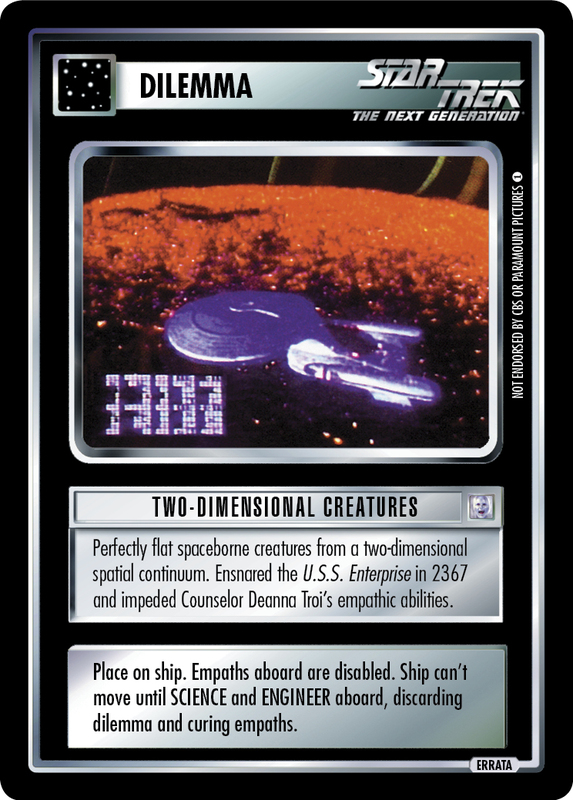 Enterprise in 2367 and impeded Counselor Deanna Troi's empathic abilities. Place on ship. Empaths aboard are disabled. Ship can't move until SCIENCE and ENGINEER aboard, discarding dilemma and curing empaths. Image Source: The Next Generation: "The Loss"